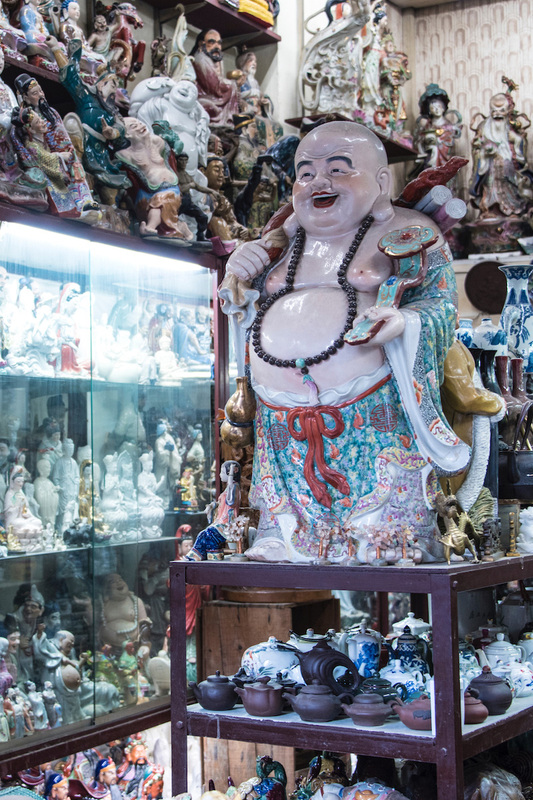 I knew Macau was going to be a good time from the moment I arrived, so it was fairly easy to whip together this Macau Travel Guide to help you on what to do and see. When I first landed, there was intrigue and excitement from the beginning. As I exited the ferry terminal toward the city, palm trees swaying in the blue sky above me, I hopped into a cab blaring a Portuguese-language power ballad that must’ve sounded dated even in the 1980’s. What follows is not only a Macau travel guide but, I hope, a rebuke of the prevailing wisdom about the territory: That it’s not really all that great. 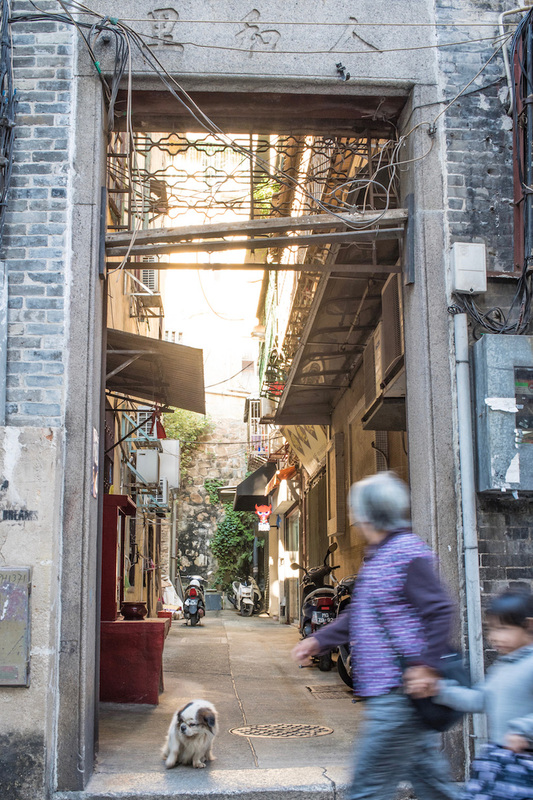 My day trip to Macau from Hong Kong was nothing short of magical—here’s how yours can be, too. I’ve lost count of the number of trips I’ve taken to Europe, and have visited just about every former European-colonial outpost in the Far East. Still, I found myself immediately and profoundly charmed by Macau’s conspicuous Portuguese character, from the moment I laid eyes on the aforementioned Ruins of St. Paul’s. Ancient ruins like these are a must for our Macau Travel Guide, for a myrid of reasons, history and deep culture being the main ones. This feeling of awe continued after seeing the ruins, as I mounted the nearby Monte Fort for a panorama, and as I descended into the city’s historical center, traipsing along the eclectic São Paulo and Tercena streets en route to Largo do Senado—and, after that, the supposedly seedier part of Macau that’s responsible for much of its reputation. But I digress: Macau charmed me, and I didn’t even wander into the “alternative” areas of the territory (i.e. Coloane and Taipa) on this particular visit. In fact, I hardly veered from the tourist trail at all, except when framing shots of teacup dogs sitting beneath brick door frames, peering inside Chinese antique shops to watch women play raucous games of Mahjong and swiping samples of Macanese meat jerky from off the beaten path, once I’d exhausted all my freebies from the stalls on the main drag. 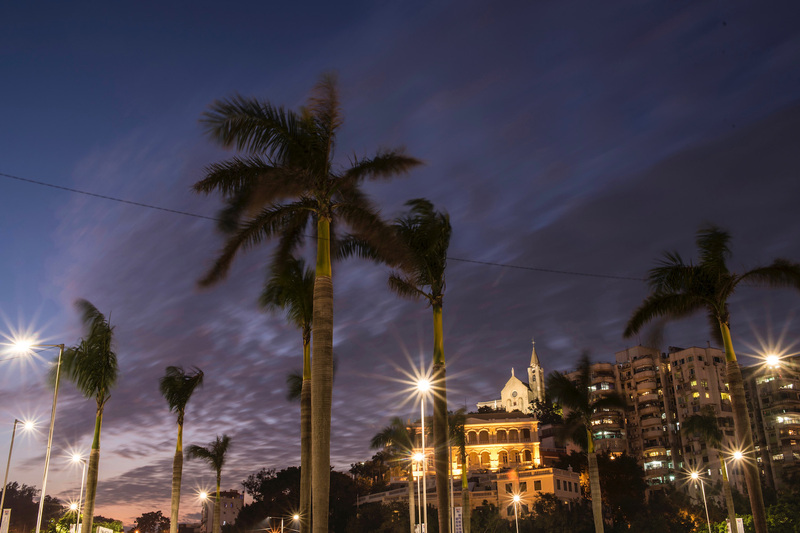 Many travelers—especially ones from the Chinese mainland—venture through the Pearl River Estuary solely for the purpose of visiting Macau casinos. 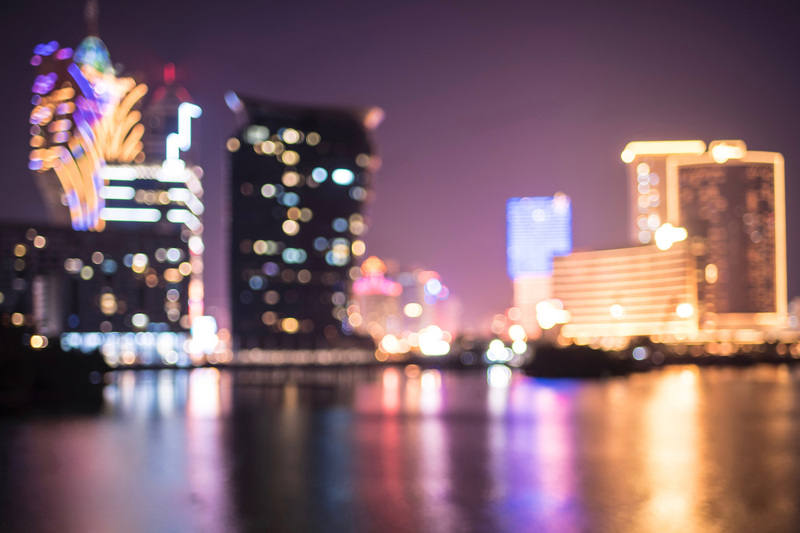 These are many in number and easy to find, but since I don’t gamble, I found the colorful skyline of Macau’s gambling district (in particular, the Grand Lisboa Hotel and Casino) to be a draw for me I didn’t expect, particularly reflected in Lago Nam Van before and just after sunset. The lake, to be sure, is a great place to find yourself around the end of the day, whether you admire the majestic Macau Tower (and go up it—or jump off it), scout out hidden treasures like the Capela de Nossa Senhora da Penha hilltop church or simply marvel at the neon lights of Macau’s casino district as they strobe like artificial rainbows in the darkening night. Both of these are must visits on your Macau Travel Guide planning list. One thing you’re unlikely to find (at least outside the casinos) is sleaze. The fact that Macau’s air is moister and cooler than Vegas’ notwithstanding, I never once got the impression that this was a city of sin—the Rolex watches even appeared to be real, although I’m sure many were not. Also on any bucket list guide is food. 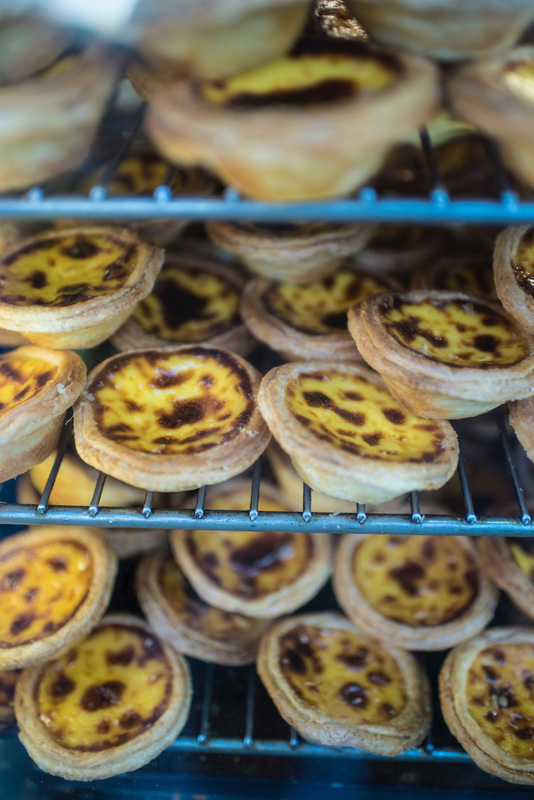 A must for this Macau Travel Guide is the delightful Portuguese influenced cuisine throughout Macau. After night had fallen and the time of my return ferry to Hong Kong drew nigh, my primary remaining goal was to try some of the Macau travel food I’d bypassed on my way through the historical center, when I was hungrier for photos than for nutrients. At minimum, I wanted to chow down on at least on Pastel de Nata, and enjoy a savory dish of Galinha à Portuguesa. Unfortunately, this ended up being my maximum as well. Coupled with the beef jerky and almond cookies I’d sampled on my walk, my chicken dinner and egg tart dessert completely filled my belly. 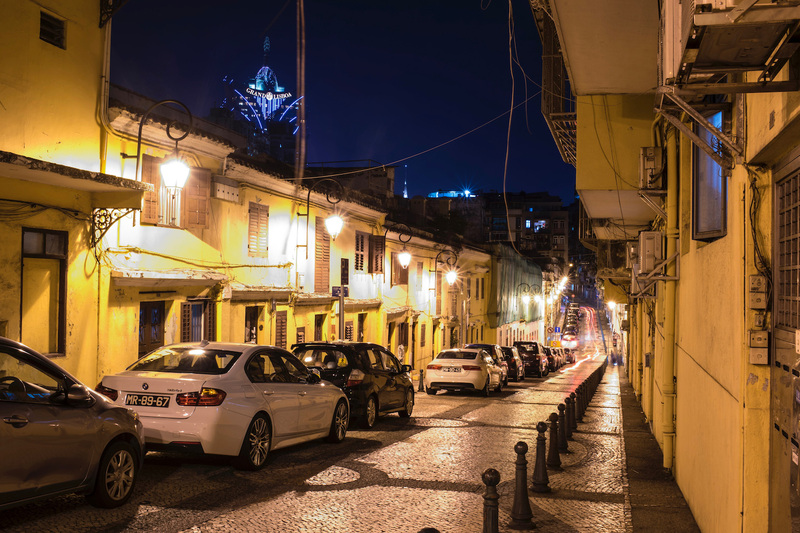 Macanese cuisine is a great deal more diverse than this, however, so I’d like to give you a run down of all the things I would’ve eaten, had I spent longer than a day in Macau this time. As I finished my meal and walked back up to Monte Fort for one last look over the sparkling city, I had to admit: Macau travel from Hong Kong is not only incredibly easy, but very fulfilling. Not only do two companies (Cotai Water Jet and Turbojet) operate dozens of ferries per day between the two territories, but you can buy a Macau travel SIM on the boat before arriving in Macau, and the Hong Kong dollar is a de-facto Macau travel currency, since it’s equivalent in value to Macau’s own pataca. I briefly considered staying overnight in Macau, but decided against it at the last minute. If you’re also thinking of spending a night here, there’s good news and bad news when it comes to Macau hotels. The bad news is that if you’re a budget traveler, there are no hostels and many cheap Macau hotels can be downright sketchy. The good news is that if you’re willing to spend a little more, you can get luxury hotels (I’d held a room at Sofitel Macau at Ponte 16) for less than comparable Hong Kong properties. 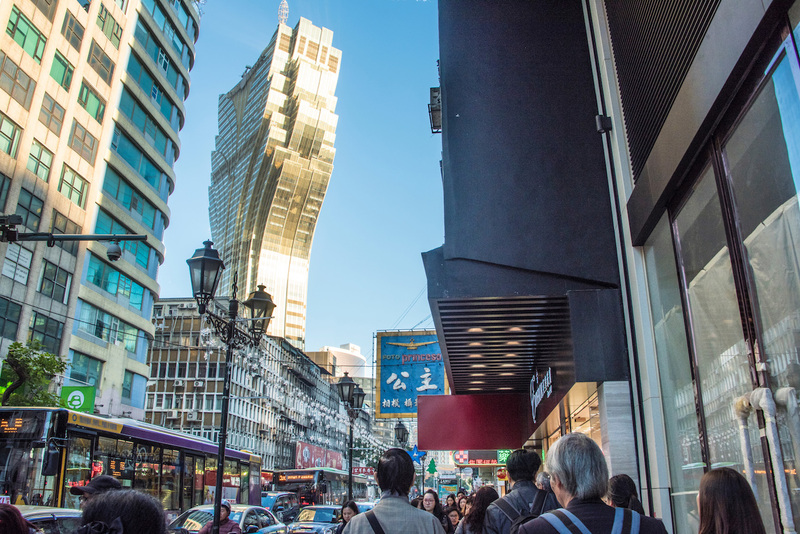 While this Macau Travel Guide largely focuses on a one to two day itinerary, you’ll see that there is far more to do than experience what people deem as the “Vegas of China.” In fact, I found Macau downright magical, thanks to its Portuguese-colonial heritage, interesting cuisine and profoundly photogenic quality. 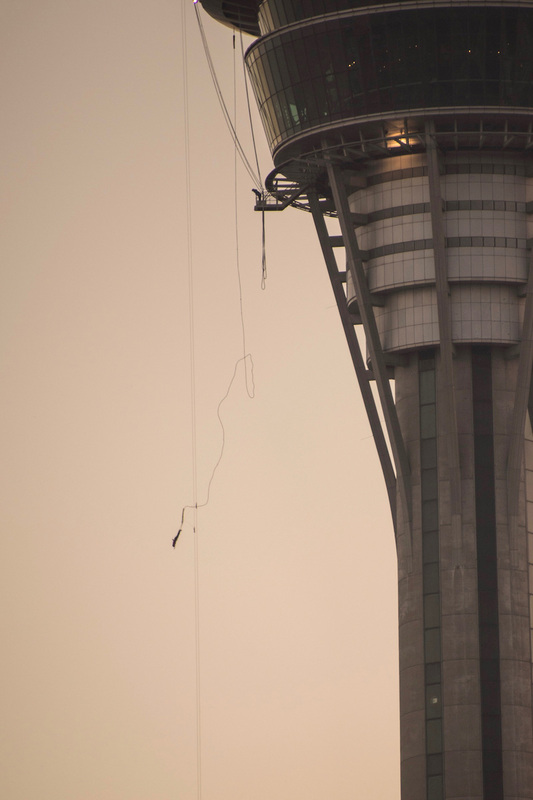 Whether you visit Macau on a day trip from Hong Kong, or stay for a few nights, I have a feeling you’ll have a similar experience. Is there anything you feel we’ve missed off this Macau Travel Guide? Do tell us in the comments below.